Drastic Price Reduction. What a fun, adorable 1/1 private and updated condo/duplex with its own boat dock right out your back door with easy access to the Intracoastal Waterway. 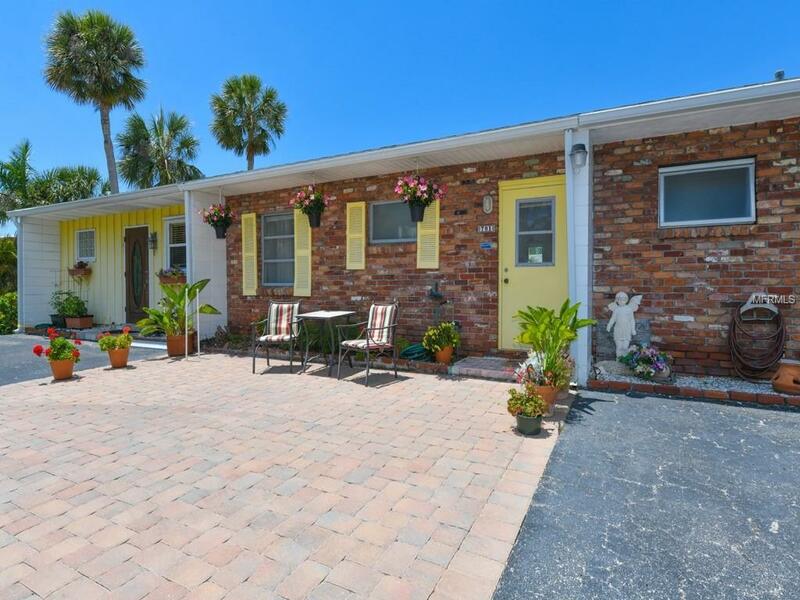 This canal-front property has deeded beach access, kayak storage and direct access to lovely Durante Park with walking trails, flower gardens, play area, large pavilion is dog-friendly and has expansive views of Sarasota Bay, right out your front door. Grilling on your spacious front or rear brick paver patio is also a plus. This condo has been tastefully updated with 12-inch neutral tile on the diagonal throughout the entire unit, Corian kitchen counters, 42-inch wood cabinets, under-mount sink, tile backsplash with updated lighting and fixtures. The nice feature is the glass sliding doors that create a tremendous amount of light in the living and dining area that overlooks the canal and dock, plus there is an interior washer and dryer. Master suite is spacious with updated bathroom as well. This location is ideal as its right down the street from Harrys famous Restaurant, Deli and Corner Store and shops. Rental income is desirable, can rent 12 times a year. Come take a look.